He was despondent, but hopeful that his story could shed light on himself and the people he most loved; those same people who had “addicted” him to bad behaviors. He wanted to write this without watering it down so he called it fiction. This way he could embellish, although, of course the story was his memoir and “embellishment” wasn’t really that at all, but the truth. He was still living this story . . . it haunted him at times, He was "addicted" to the past, but the good news . . . he had begun to nurture and take care of himself, and, in doing so, come to terms with the demons of his past. Then he learned he was losing his grasp on that most precious of commodities . . . time. His time was running out. He had to write it all down before it was too late. 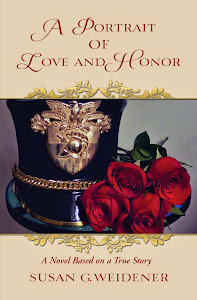 This was my late husband, John M. Cavalieri’s story, told through the character of Jay Scioli in A Portrait of Love and Honor. But, in truth, Jay could be any of us who long to write our story. 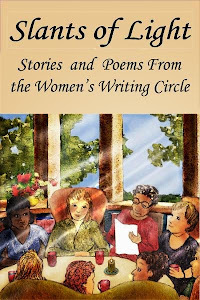 In my experience as a memoir writing coach and teacher, I've heard how story offers a second chance, if not to make it "right" . . . then to at least lift the veil, break the addiction to the past, and move forward. Hope drives our stories . 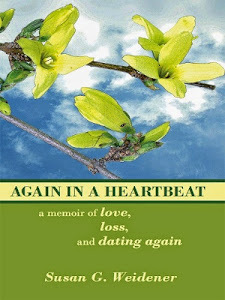 . . hope that we can make sense of our lives and understand those who most impacted us. These are the people we search for in our stories, our narratives. They teach us – and our readers. Through delving into people and the institutions or values they represent, we remove the “symbols” of our former lives. Maybe if we understand our past, we have the ability to understand our present. By writing his memoir, Jay moves toward a greater understanding of himself and impersonal systems, including the military establishment that tarnished the dream he once coveted – a career as an officer in the United States Army. 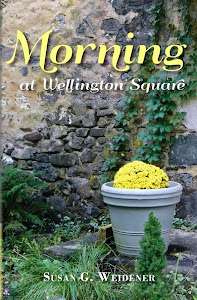 For me, personally, I realize now that in both my memoirs, Again in a Heartbeat and Morning at Wellington Square, there was much I didn't say. Those memoirs were written “at that time, at that place”. They offered a second chance . . . going back to the past and finding the redemption I needed to move forward . . . while, hopefully, offering readers lessons to be learned. It is an uphill battle, yet story helps us break through the turmoil; to stretch ourselves and reach for the light in our quest to move beyond the past. I’ll be giving a talk on Wednesday, Dec. 2 at St. Mark Episcopal Church in Honey Brook on the power of story. A light supper is at 6 followed by my talk at 6:45. I hope you can join us.